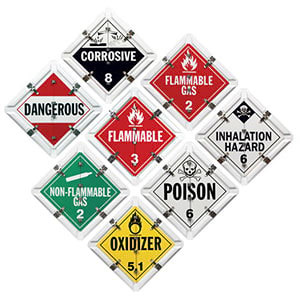 Each of these areas is critical to the safety and success of every hazardous materials load. 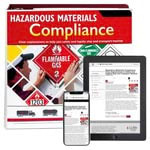 To help safeguard everyone involved, the DOT has developed special preparation, transportation, and handling requirements known as the Hazardous Materials Regulations (HMR). 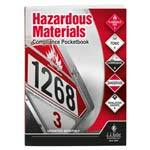 Provides critical information on hazardous materials regulations. 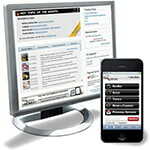 Choose from a variety of formats. Cover a wide range of critical topics and give your drivers fast access to the compliance info they need, including 49 CFR Parts 100-199. Help you meet DOT requirements for proper shipment documentation. 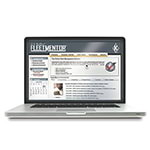 Get fast, easy access to DOT's word-for-word Hazmat regs and "how-to-comply" guidance. 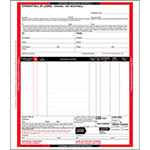 Browse our vast selection of placards and labels that meet strict regulatory requirements. Includes new Lithium Battery labels and markings. Our experts work directly with you to help improve compliance. Be the expert in your organization with online access to OSHA, DOT, Hazmat and EPA regulations, ez-explanations® and compliance assistance. "We feel that we get more for our money because of the high quality of J. J. Keller products. We use our hazardous materials products every day, so our trust in J. J. Keller expertise and experience is vital"
The Hazardous Materials Regulations (HMR) require that hazmat employees be trained, tested, and certified regarding the parts of the regulations that pertain to their job functions. It’s an employer’s responsibility to determine which specific parts of the HMR apply, to make sure the hazardous material training focuses on those specific areas and to ensure employees receive the DOT hazmat training they need. For more detailed information on the hazardous materials training requirements, see 49 CFR, part 172, Subpart H and 49 CFR 177.816. 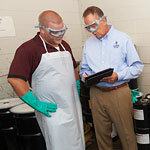 View the hazmat safety training solutions you need to help meet the HMR and maintain compliance. Requirements in the Hazardous Materials Regulations (HMR) apply to anyone who prepares or offers a hazardous material for transportation in commerce. View solutions and services to help you and your organization achieve and maintain compliance in regard to the preparing of hazmat for transportation. In most situations, transportation begins when a carrier takes physical possession of the hazardous material for the purpose of transporting it in commerce and continues until it is delivered to its destination. Hazmat transporters also need to be aware of Hours of Service regulations. Visit our Hours of Service compliance topic page for more information. View solutions and services available to you regarding the safe and compliant transporting of hazmat.